An object of Exception class prints the name of the exception and nature of the exception. This method will display the name of the exception and nature of the message and line number where exception has occurred. This is also a method which is defined in java.lang.Throwable class and it is inherited in to both java.lanf.Error and java.lang.Exception classes. 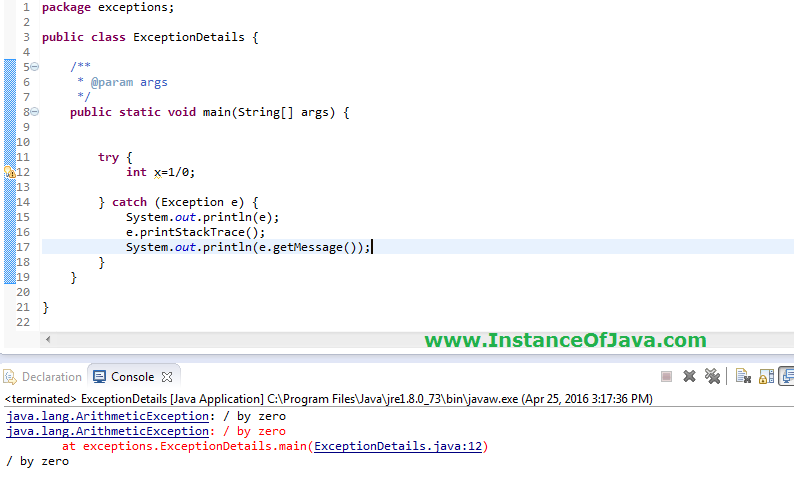 Write a Java program print exception message using getMessage() method.